Got your summer plans sorted and bags packed? 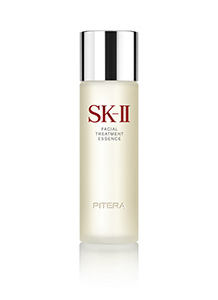 Don’t forget Facial Treatment Essence, the indispensible summer skincare product. The essence’s unique formula is packed with 90% Pitera™ that provides a wealth of skincare benefits, including intense hydration for dry skin that needs it. Find out why you shouldn’t go without Facial Treatment Essence if you want beautiful skin this season. Whether you’re lazing on the beach or pounding the pavement at the summer sales, it’s inevitable that you’ll spend some time outdoors in the sunshine. The sun’s sweltering heat saps our skin of moisture, drying and dehydrating it, causing excess sebum production that makes your face look oily. 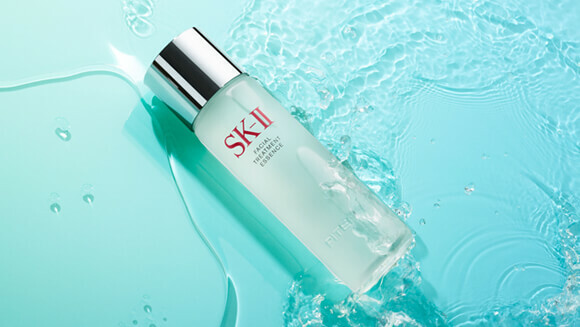 How Facial Treatment Essence helps: The cooling effect of Facial Treatment Essence can help soothe sun-exposed skin, keeping it hydrated and supple while promoting the renewal of skin cells to help reduce the effects of sun damage. It also helps balance your skin tone to control excess oil. The carefree spirit of summer means music festivals, parties, and drinking are in abundance. While there’s nothing wrong with alcohol in moderation, excess drinking can quickly dehydrate and dry out your skin. Just like a hangover, you can often see and feel the drying effects that boozing can have on your skin the morning after – it looks tired, dull, and sallow. How Facial Treatment Essence helps: With its lightweight formula, Facial Treatment Essence penetrates immediately into the skin to readily replenish much-needed moisture into dehydrated skin. The intense hydrating effect will help restore your skin back to radiance and suppleness, so your skin won’t look as bad as your hangover feels. All eyes will be on Rio de Janeiro, Brazil this August when the much-anticipated Summer Olympics return. But while it’s great that watching world-class athletes can inspire you to hit the gym, your skin can also take a beating with extensive exercise. Sweating means your skin is losing moisture, and it can also make your skin feel clogged and rough. How Facial Treatment Essence helps: Just as it’s important to replenish fluids in your body after a workout, you also need to rehydrate your skin. Facial Treatment Essence does just that, while also balancing your skin’s tone and refining its texture, gently exfoliating your skin so that it feels smooth and clear post-exercise.